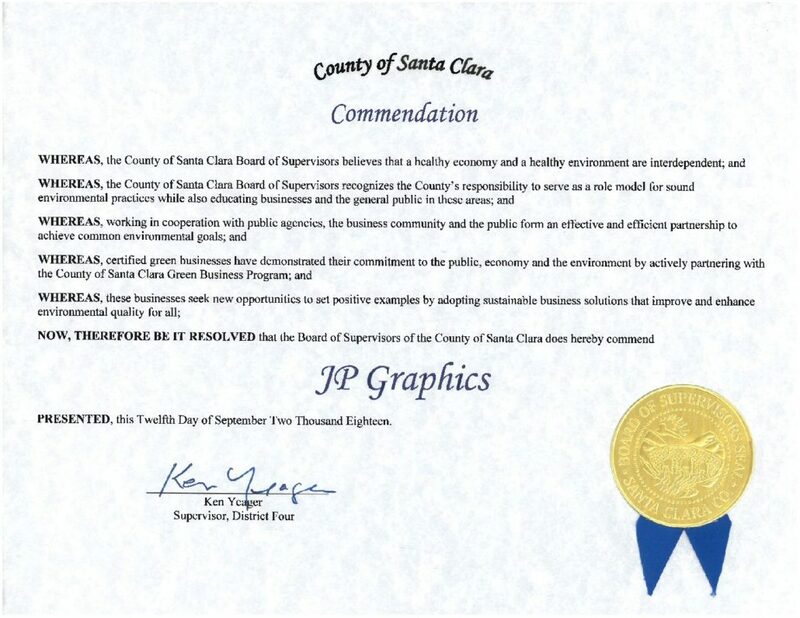 Last night, JP Graphics received a Commendation from the county of Santa Clara for being a green business. 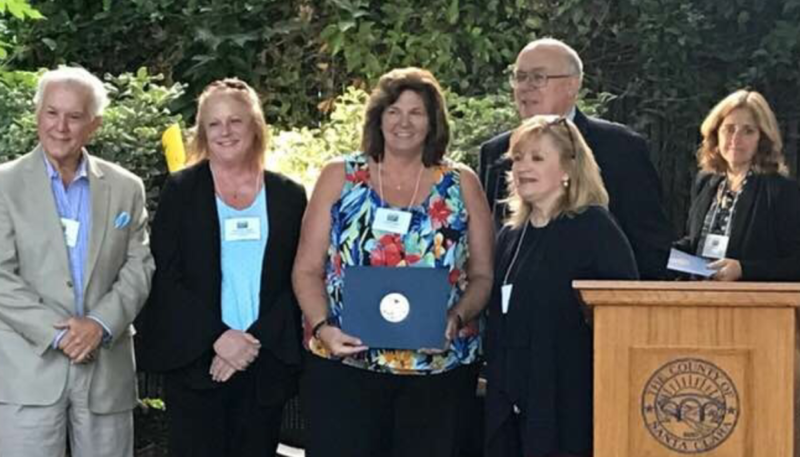 The Board of Supervisors, the Vice Mayor of Santa Clara, a program manager from the EPA, and even members of the Water district were in attendance. Then they gave us reusable utensils and straws. What a clever, eco-friendly idea!! !